Widely acknowledged as a leading figure in British art history, Charles Harrison’s succinct writings on Art & Language and his curated exhibition When Attitudes Became Form (1969) have continued relevance today. 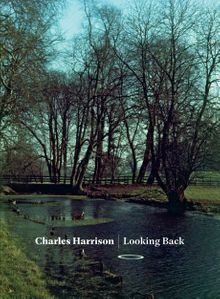 This volume presents a collection of autobiographical interviews conducted with the art historian, curator, critic and professor Charles Harrison in the years before his death in August 2009. The publication developed from transcripts of interviews conducted by researchers, students and journalists seeking information about Harrison's experience of significant art historical events, institutions and artists. Accompanying the interviews are Harrison's own photography, which document his experiences in the art world – from the exhibitions that he visited to the studios of artists and critics that he championed throughout his life. Drawn together, this volume highlights the crucial art developments that Harrison both observed and shaped in postwar Britain. Paperback, 6 x 6 in. / 272 pgs / 65 color.